"If Rovers are in the same mood as last week they can cover the big handicap." Our antepost headliners Castleford Tigers look to be peaking at the right time and can confirm their place in the semis with victory at crisis-club Hull FC on Friday. The Tigers became the latest side to bring the newly-crowned Challenge Cup-winners back down to earth with a comfortable 36-4 success over Catalans at the Jungle on Saturday, reigning Man of Steel Luke Gale putting in a mighty display on his return from injury. Jake Trueman once again impressed and crossed for the fourth time in five games. In the hope we don't again put the hex on the nineteen-year-old (he was an anytime tip in this column when recording the blank against Warrington), we'll have a few quid on him at 9/5 to continue his scoring run and help his side to victory. Hull were suffering their biggest defeat in Super League and seventh in a row when humbled 80-10 at Warrington last week. Every player in the black and white now appears to be playing for their future judging by owner Adam Pearson's post-match comments and the depleted squad will be under massive pressure right from kick off this evening. Take the Tigers to cover the handicap of 14. Halifax shipped 62 points at home to Salford last week and free-scoring Hull KR will be licking their lips at the prospect of the part-timers' visit to Craven Park. Halifax defended well as they went down just 14-0 against Toronto in the opening round of the Qualifiers, but have found life much tougher against Toulouse and Salford subsequently, coach Richard Marshall describing the Red Devils as 'the best side to come to the Shay in a long time' as Jackson Hastings and his teammates ran in a dozen tries last week. 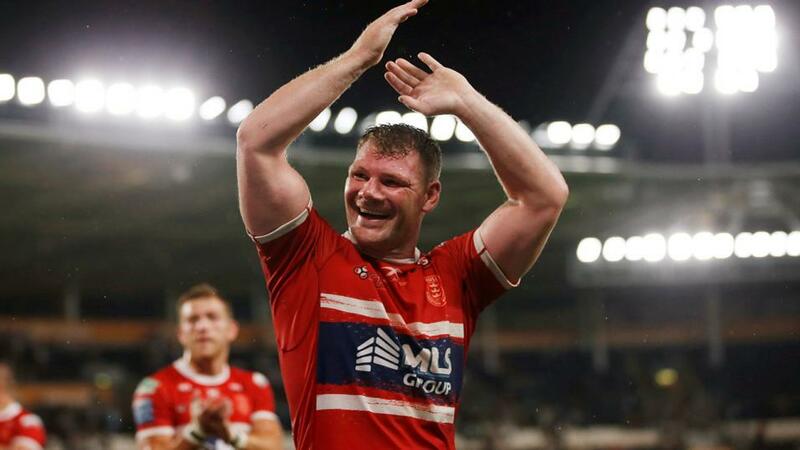 Hull posted some big scores as their form improved towards the end of the regular season, beating Huddersfield 37-10 and fellow-Qualifers Salford 52-22, while they notched up another seven tries in last week's impressive 38-36 victory at Leeds. Fax won't boast anything like the attacking threat Kevin Sinfield's side did, they've recorded just ten points in the four hours they've played in the Qualifiers so far, and if Rovers are in the same mood as last week they can cover the big handicap.